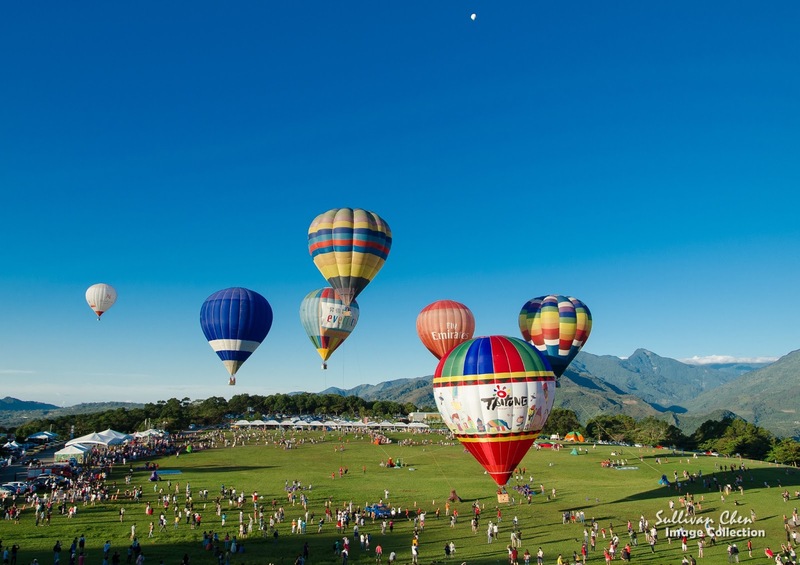 Blue sky, Green Valley, meandering river, and deep ocean, Taiwan Balloon Festival provides the best experience of these delightful elements in the East Rift Valley. Taiwan Balloon Festival is a new festival that stats from 2011 and organized by the Taitung County Government. Taiwan Balloon Festival usually begins from late June, lasting about 2 months, and is held at Luya Terrace. The terrace is a large platform with special cliffs and strong upward air current, an ideal place for paragliding for a long time. 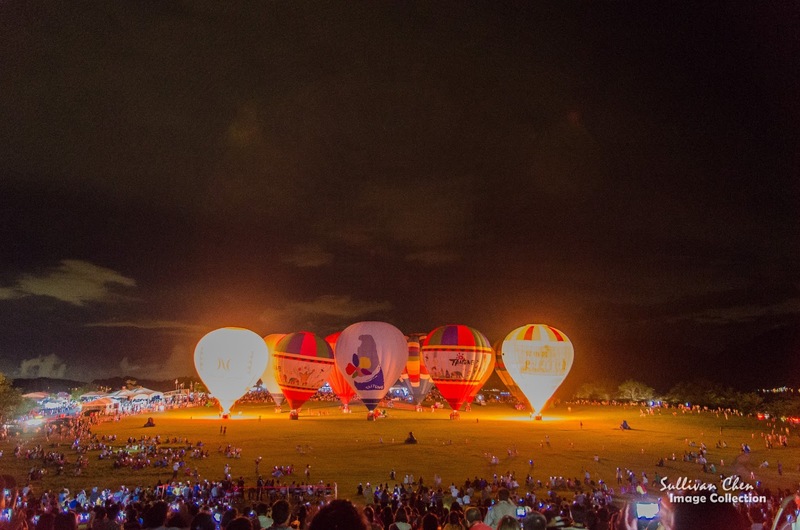 This year (2014), Taiwan Balloon Festival is between May 30 to August 10. For safety reason, balloon flights are only provided in the early morning and evening because of stable air. The riding service is provided every day if the weather condition is good enough. The morning riding session starts from 6 am and the tickets are sold from 5:am. The evening session starts from 5 pm and the tickets are sold since 3 pm. However, because the riding is so popular, it is highly recommended that you have to wait in line at least 2 hours in advance. In additional to riding balloon, the Taitung County Government also prepares free lightshow concerts for visitors. There are only about 5 lightshow concert each year. Most lightshow concerts are held at Luya Terrace. 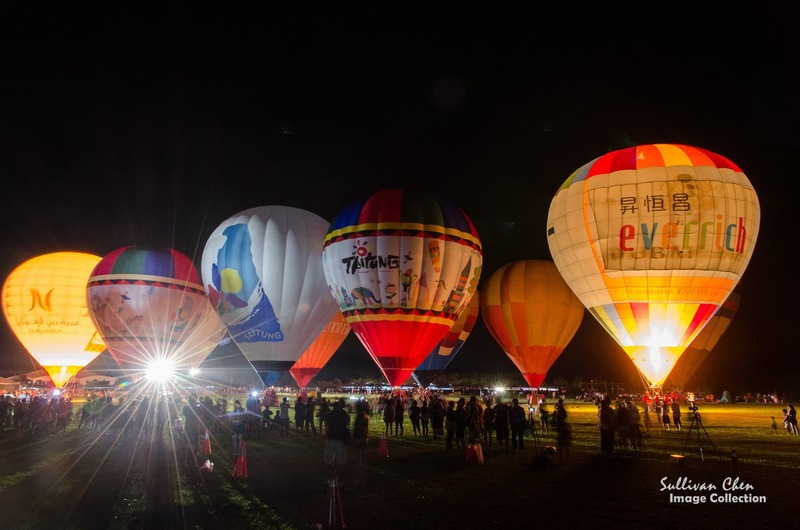 The first lightshow concert of 2013 will take place in the evening of May 31 at the Taitung Air Force Base with hot air balloons floating beautifully in the night sky and coupled with a powerful musical performance by the military band and a fireworks display. 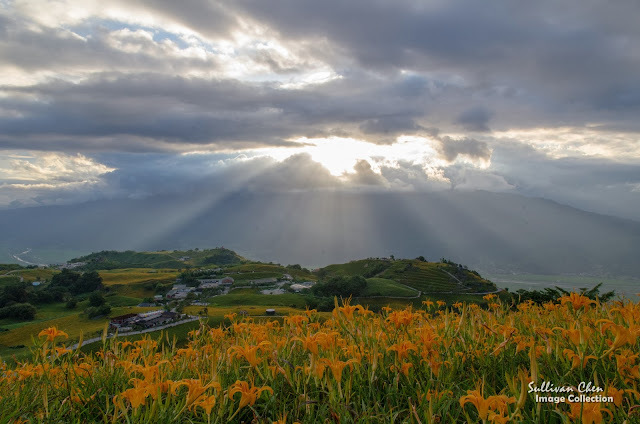 Luye Terrace is located in 25 KM north of Taitung City. the Taitung County Government has organized some public transportation for visitors. Taiwan Tourist Shuttle Bus provides the connection service between Taitung Railway Station and Luye Terrace. The one way fare is NTD $105. The fare of taxi car pool is NTD $600, which is regulated by the Taitung County Government. Therefore, if you take the taxi car pool with 3 others, it costs only NTD $150. Taxi Car pool is the best alternative because it is much faster. And you can wait at Taitung Railway Station until enough people to share the fare. Because early balloon riding starts at 6 am and the tickets are sold from 5:30 am. Taxi car pool is also provided in the midnight. The East Rift Valley is the collide result of the Eurasian and the Philippine tectonic plates.The valley is 180 km long, starting from Hualien City to Taitung City, and 2-7 km wide with the Central Mountain Range, over 3,000 m in altitude, to the west and the Coastal Mountain Range, about 1,000 in altitude, to the east. Rice is the main corp in the East Rift Valley. In the summer, green paddy fields fills the ground and it is a very joyful travelling experience to pass the valley, no matter by train, bike or car. 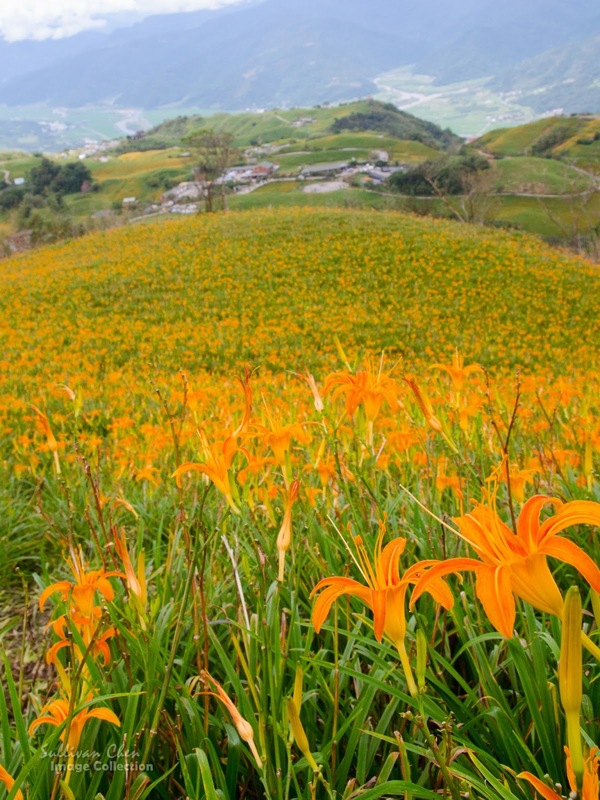 Besides to the Taiwan Balloon Festival, summer is also the blossom season of daylily. The name of daylily comes from the blossom period of daylily. The flowers of daylily open in the early morning and wither during the following night. The bud of daylily is a common gourmet in Taiwan. The blossom season of daylily starts from late July and lasts about two months. Mt. Chike in Yuli and Mt. Sixty Stone in Fuli are the main farm areas for daylily. great blog and info! thanks!